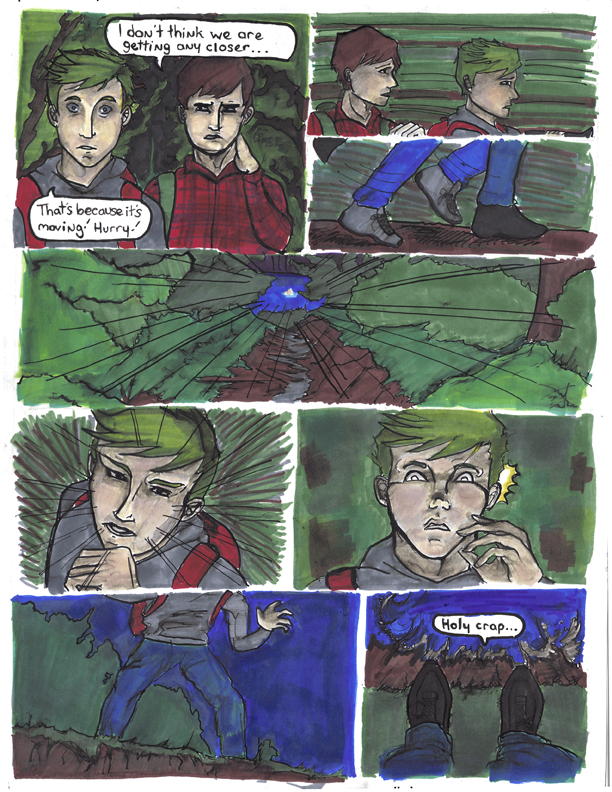 Déjà vu, Page 1. Ink on Bristol. 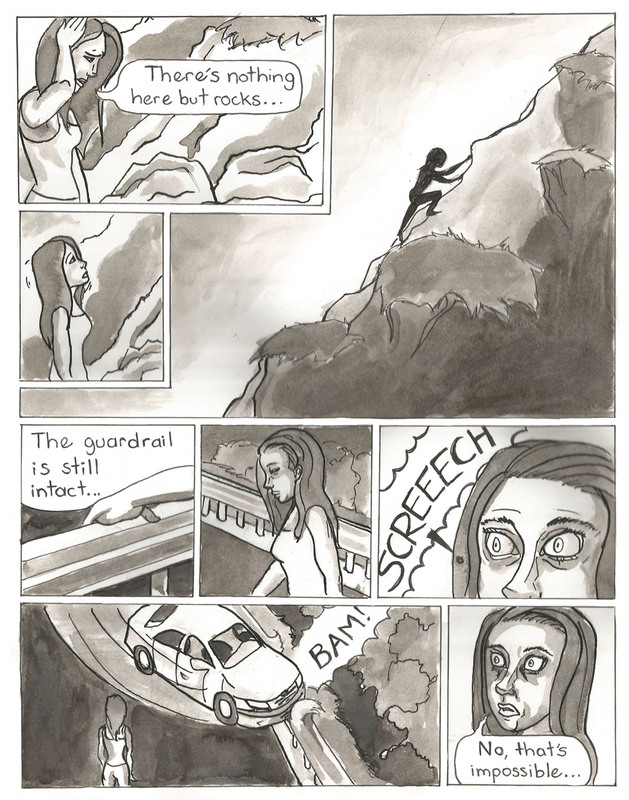 Déjà vu, Page 2. Ink on Bristol. 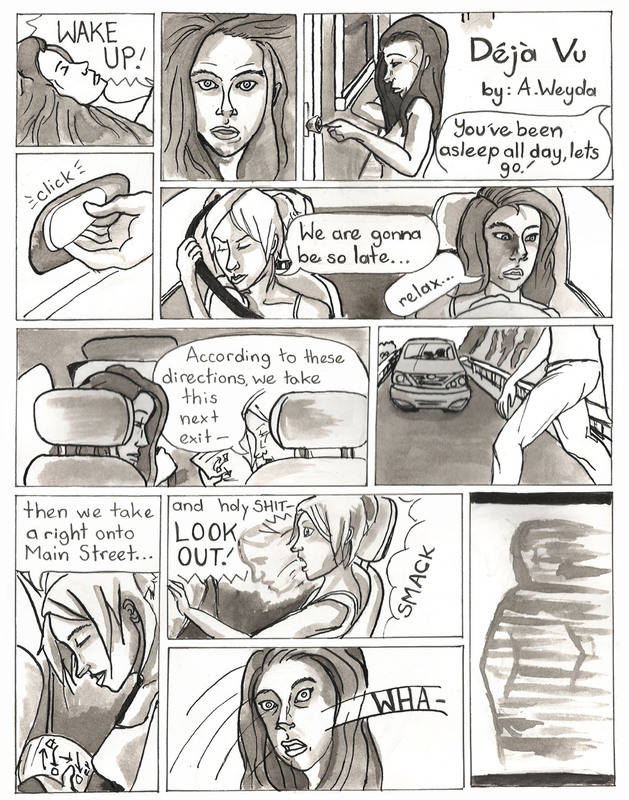 Déjà vu, Page 3. Ink on Bristol. 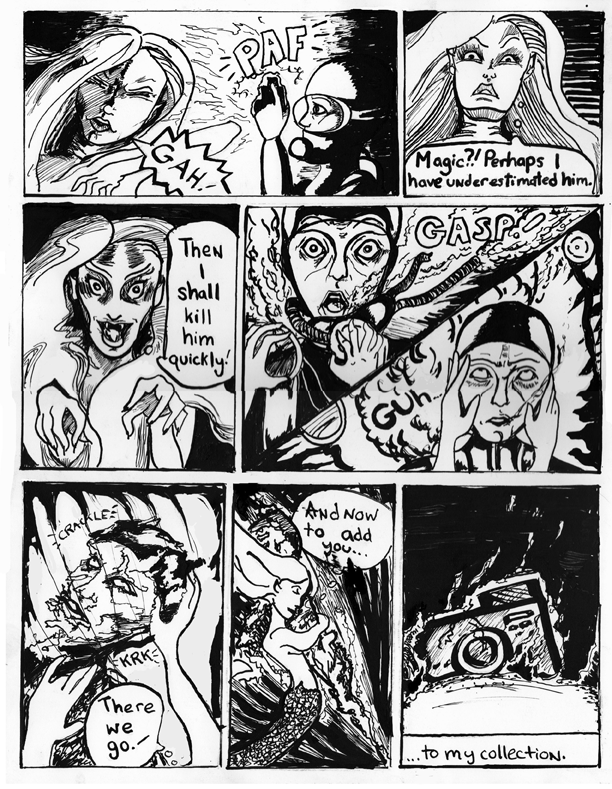 Déjà vu, Page 4. Ink on Bristol. 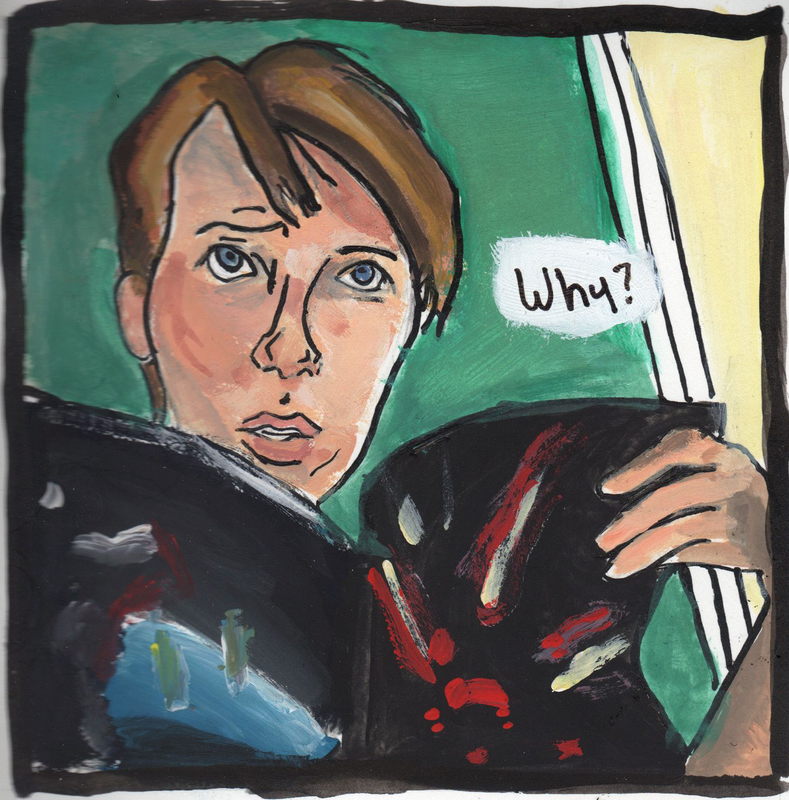 Notes on Passive – Aggression, Large-format comic. 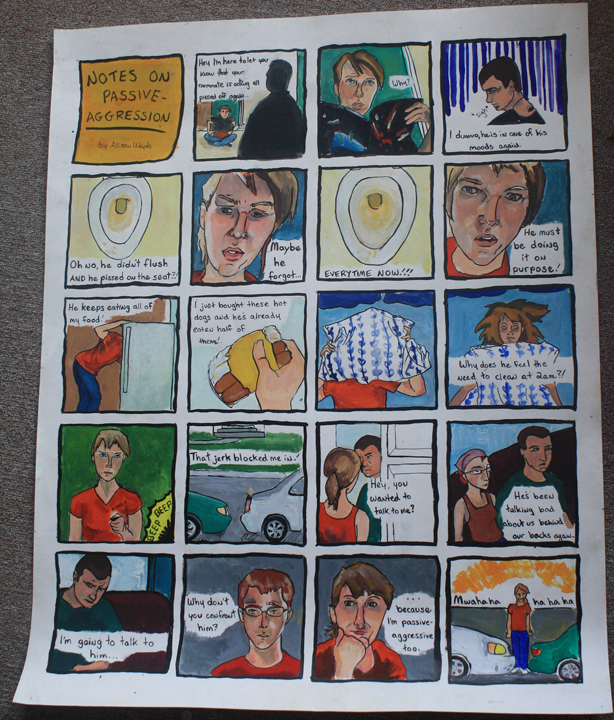 Gouache and Ink on a sheet of Bristol. 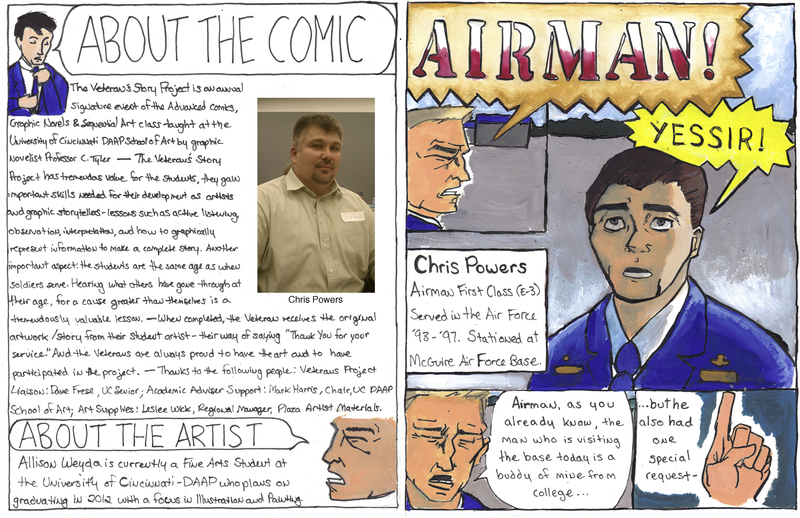 AIRMAN! (layout spread 1). Gouache and ink on bristol, 2011. 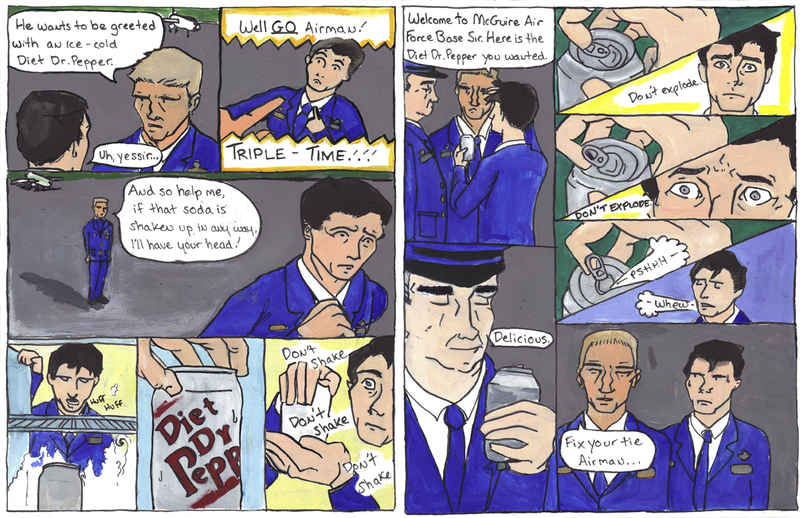 AIRMAN! (layout spread 2). Gouache on bristol, 2011. 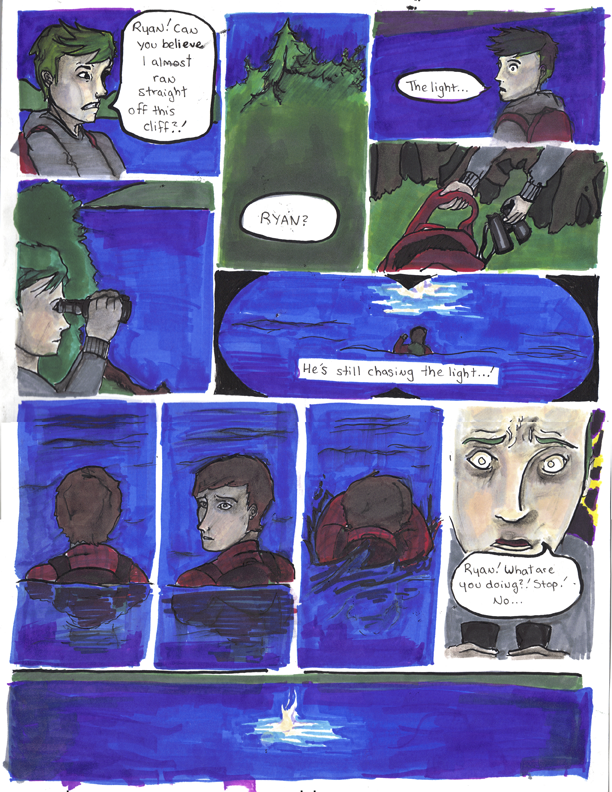 Will-O-Wisp, page 1. Marker and ink on bristol, 2011. 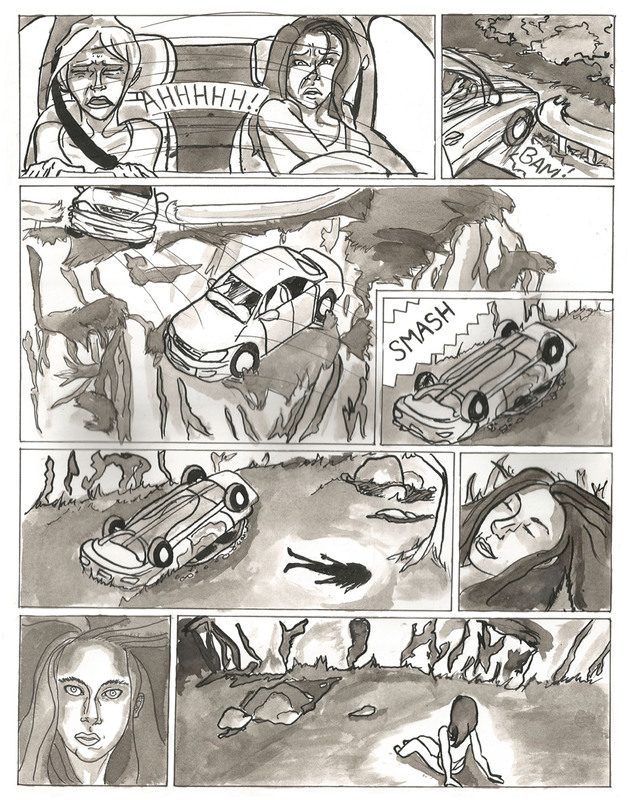 Will-O-Wisp, page 2. Marker and ink on bristol, 2011. 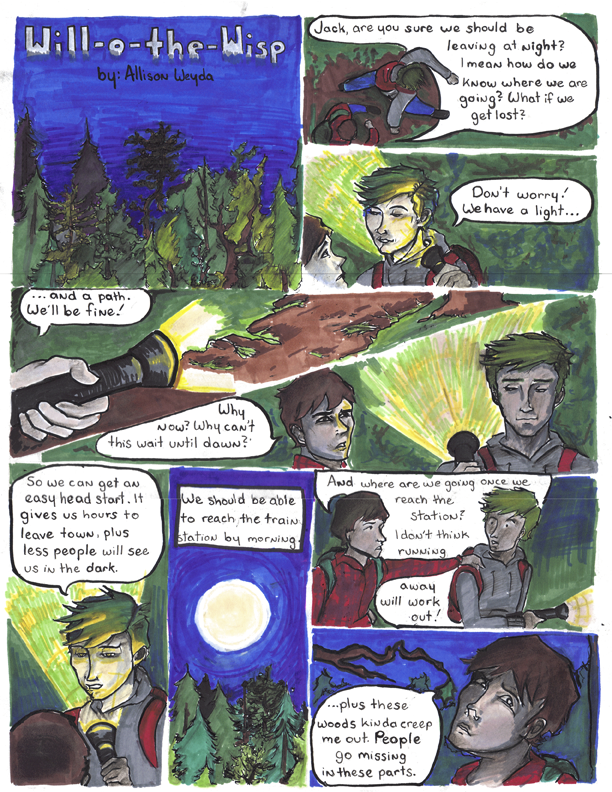 Will-O-Wisp, page 3. Marker and ink on bristol, 2011. 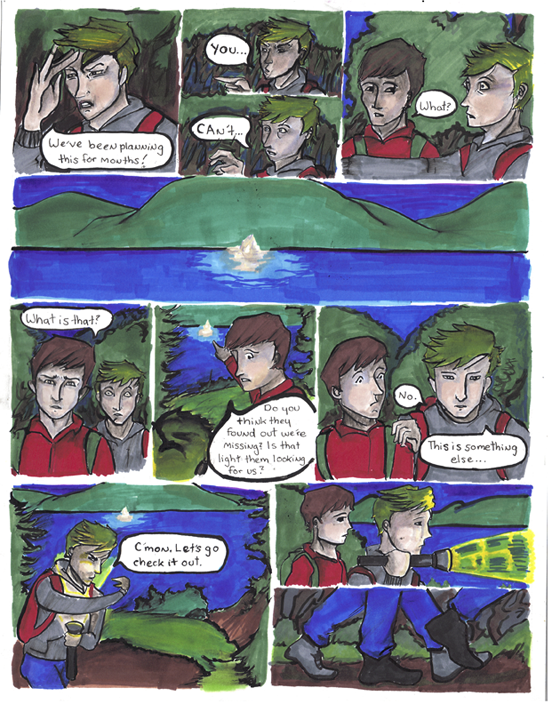 Will-O-Wisp, page 4. 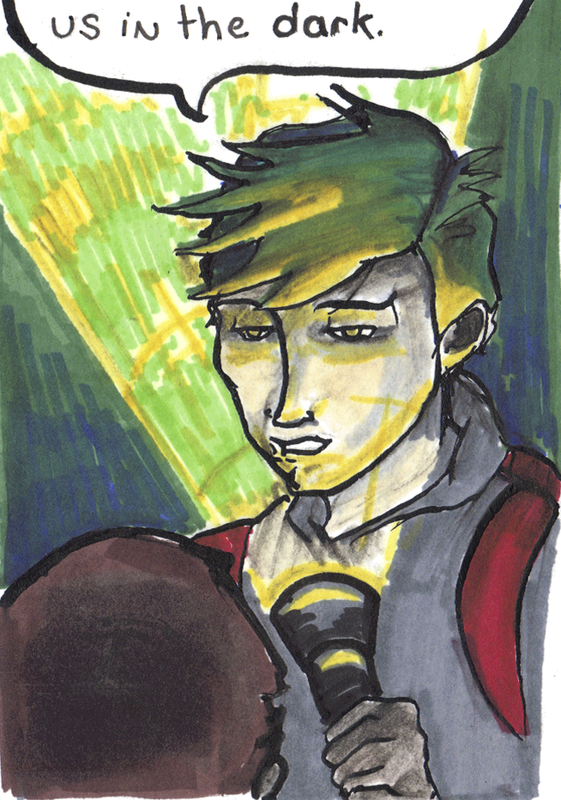 Marker and ink on bristol, 2011. 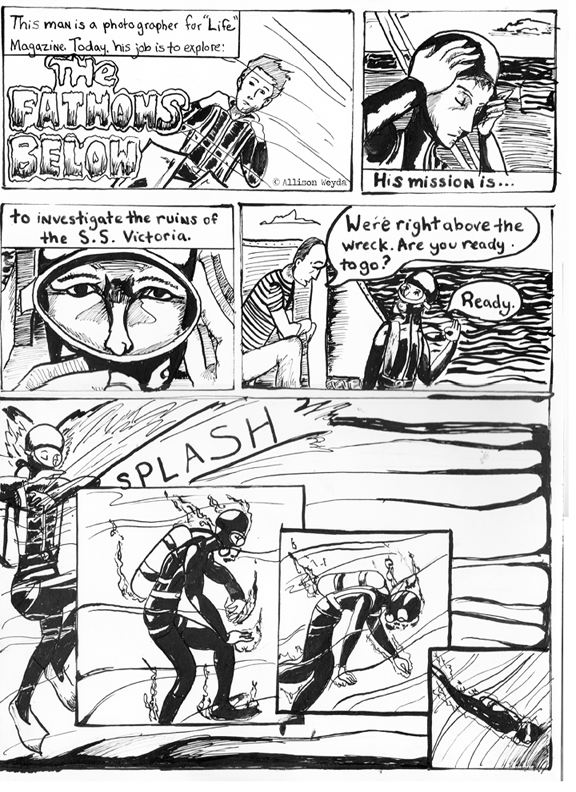 The Fathoms Below, page 1. Ink on bristol, 2010. 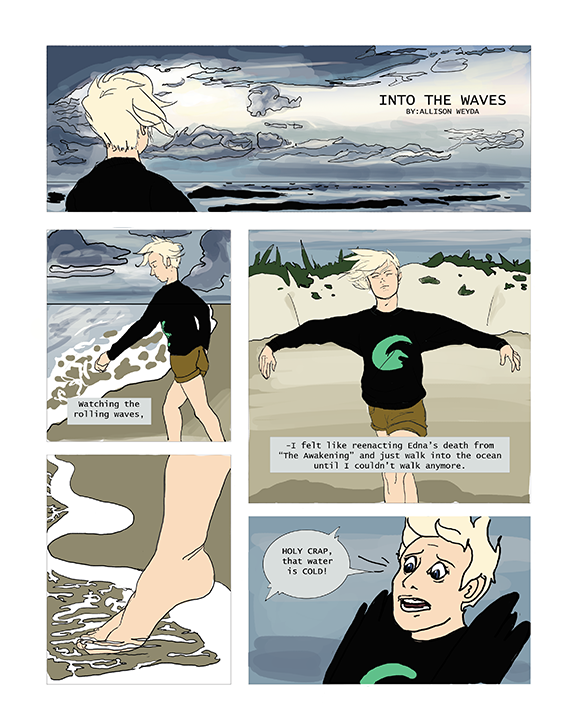 The Fathoms Below, page 2. Ink on bristol, 2010. 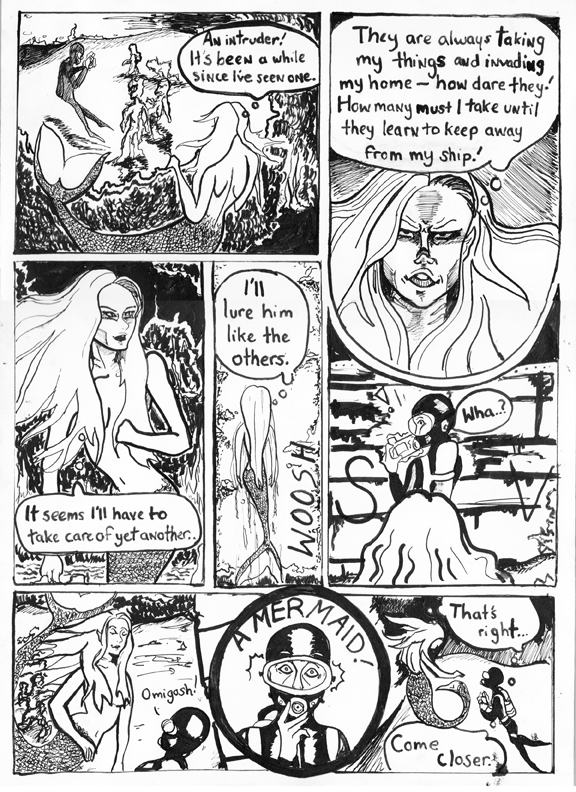 The Fathoms Below, page 3. Ink on bristol, 2010. 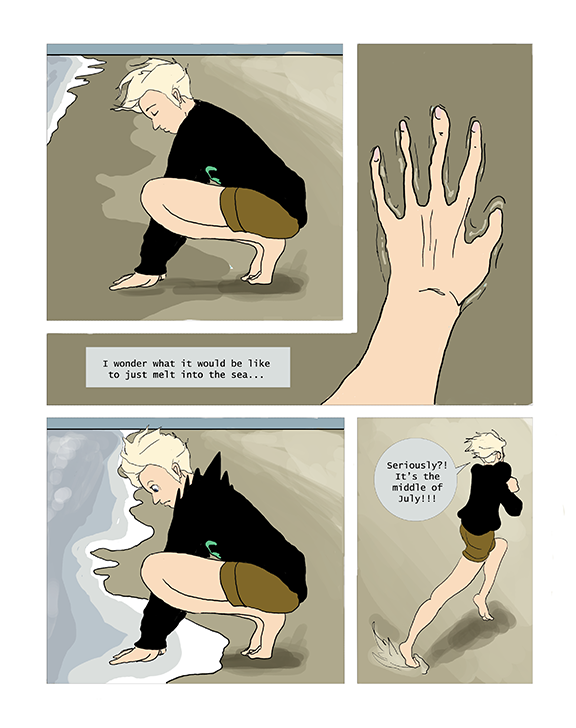 The Fathoms Below, page 4. Ink on bristol, 2010.